Mike and Dianne Taylor of Empress Farm both come from farming families, so it’s no surprise that they take so much pride in what they do. Empress Farm sells humanely-raised chickens, turkeys, Peking ducks, and rabbits, as well as chicken and duck eggs, plus wide variety of home-style preserves, jams, jellies, relishes and pickled products, such as asparagus and bread and butter pickles. They are full-time SOTJ vendors, and they can also be found at the Midlothian Mines Market on Saturdays from 2-5 as well as the Lakeside Market. 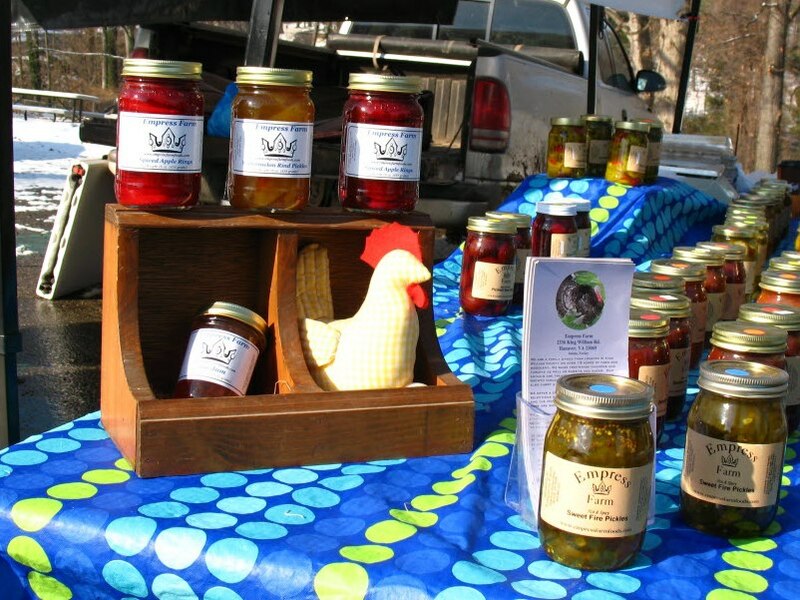 Check out their duck eggs, hormone and antibiotic-free rabbit, and homemade pickles and jams. 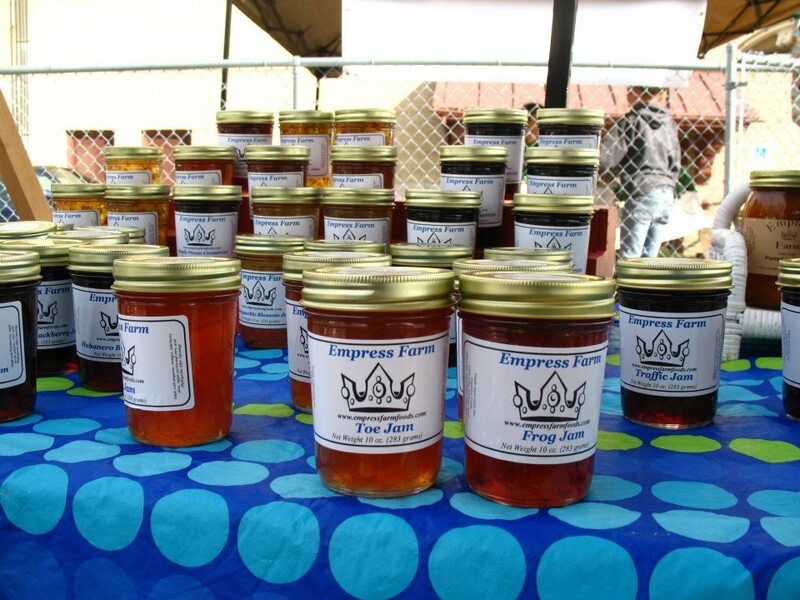 Toe Jam, Frog Jam, and Traffic Jam are all specialty jams that you can only find at their farm stand. Mike and Dianne would like to offer a $30 gift certificate to one lucky person who likes, shares, or comments on this post on GrowRVA’s Facebook Page! We’ll announce the winner on Facebook at 8:00pm, Friday, June 21st. So spread the love and win! Empress Farm – free range chickens, turkeys, domestic rabbits, and canned goods. Rabbit – It is delicious and in rare supply, and the meat is very healthy! 10 years. We raise geese as pets. Get up, check rabbits. Give them hay. Check incubator for new hatches. Feed and water new and growing turkeys and geese. Load the truck for the market, and then drive to SOTJ. Later we go to the Midlothian Mines Market. We’re also at the Lakeside Market. Then we feed and water older turkeys and geese, unload the trucks, and feed the rabbits. There are always more chores to be done! 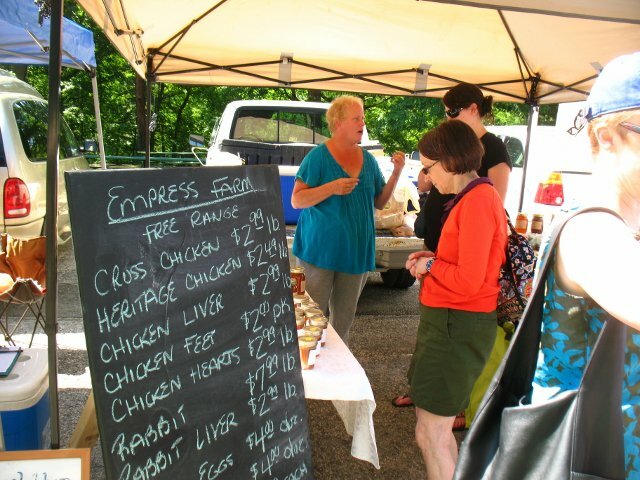 Looking for a great recipe for Empress Farm’s rabbit? Look no further.